TOP government officials were last night locked up in a crunch meeting with teachers’ union leaders to resolve the salary impasse and end a crippling strike which started on Tuesday, with about 80% of the teachers joining the industrial action. A majority of teachers across the country have not been reporting for duty since Tuesday, citing incapacitation due to high transport costs and poor salaries. Progressive Teachers’ Union of Zimbabwe (PTUZ) secretary-general Raymond Majongwe yesterday confirmed government had invited them to resolve the stand-off. He said the government team comprised Primary and Secondary Education minister Paul Mavima, PSC representatives and officials from the Office of the President. “Apparently, things have changed with regards to the future of our struggle. We are meeting with the government tonight,” Majongwe said. He said they accepted to meet the government because “we are in a crisis”. “We can’t pretend that things are right. Pupils need to learn yes, but teachers also need to be able to care for their families. We are saying time for dialogue is now,” Majongwe said. Zimbabwe Teachers’ Association (Zimta) president Richard Gundane said he was optimistic of a positive outcome after the meeting. “We are the giants when it comes to the issue of dialogue. We are the people who travel to Geneva every June. We travel all over the world. We know about dialogue,” he said. Gundane said the Apex Council, which represents the whole civil service, was nothing without members of Zimta and PTUZ, who constituted 80% of government workers. Some teachers were reportedly absconding from duty, while others were reporting, but not attending to classes. Zimta chief executive officer Sifiso Ndlovu said it was unfortunate that striking teachers were being intimidated. “This afternoon (yesterday), we were told that some councillors were now going to schools asking for (teachers’ attendance) registers. 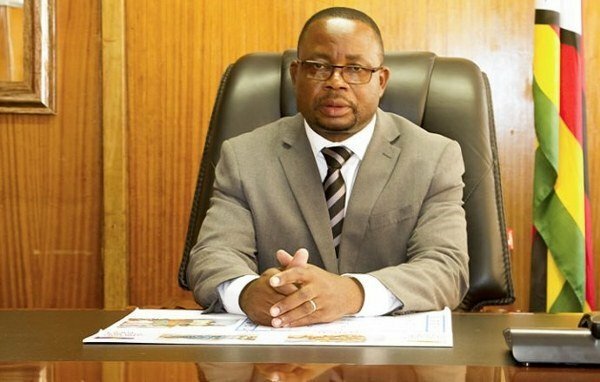 There were some political activists wearing different regalia who were also intimidating teachers and reports are that they were being dragged out of classrooms,” Ndlovu said. In urban areas, police officers have also been deployed at some schools, a move some teachers feel was meant to bully them. Majongwe said PTUZ and Zimta executives were being barred from addressing their members. “Many of our teachers are facing serious threats where they are teaching. As unions, we have almost been rendered useless. We cannot even engage with our members. Zimta and PTUZ cars are no longer allowed into schools. We cannot even dialogue with our members,” he said. Majongwe said war veterans and youths were harassing their members in different parts of the country. “There are cases of clear violence and intimidation. We know war veterans and some youths just as near as Goromonzi who have gone to schools and threatened that teachers who do not report to work should pack their bags and leave,” he said. Majongwe said their strike was not political, but an industrial action, which was in terms of the Constitution and labour international laws. “There are many other faces and other players who are interfering with genuinely labour issues,” he said. The post Panicky govt meets striking teachers appeared first on NewsDay Zimbabwe.